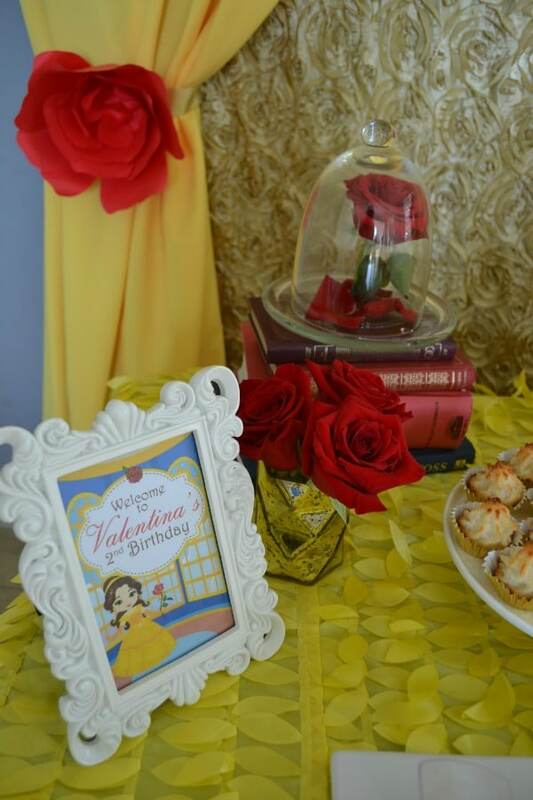 This Enchanted Beauty and the Beast Birthday Party from Partylicious is every little girl’s dream! 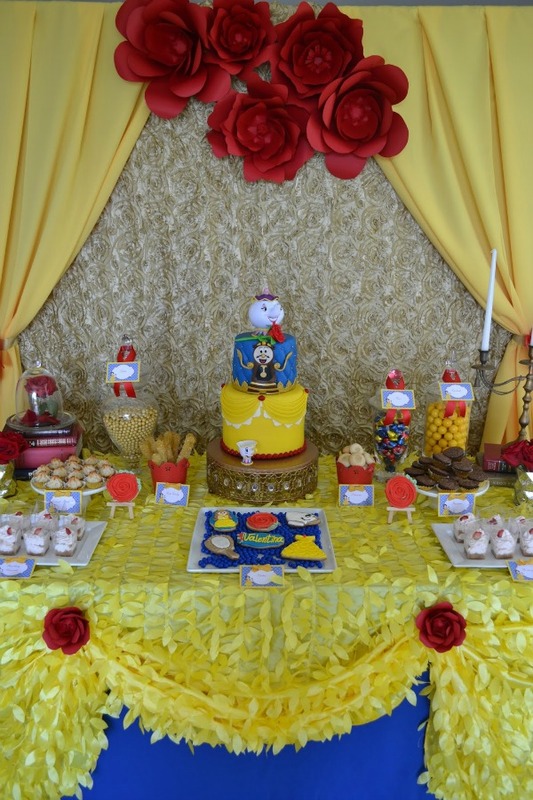 The party was set in the traditional color scheme of red, royal blue, yellow, and gold with roses and rosettes as the main element of the table, along with other prominent elements of the movie. Everything looked stunning! 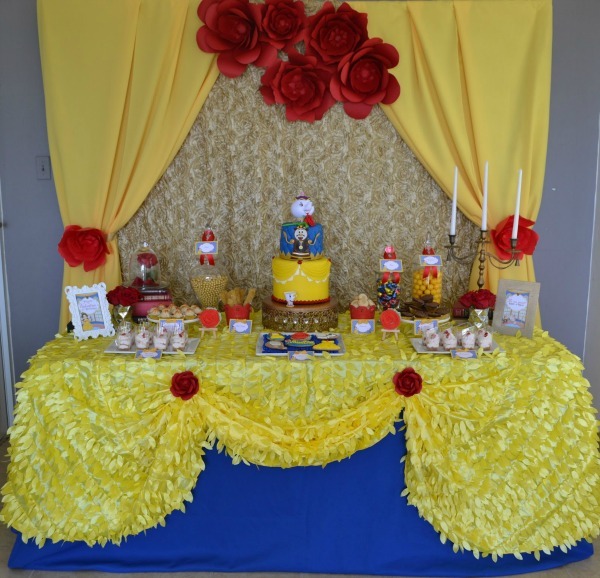 Golden rosette and yellow fabrics were used as the dessert table backdrop with a cluster of handmade paper roses, which was everyone’s favorite element of the party! 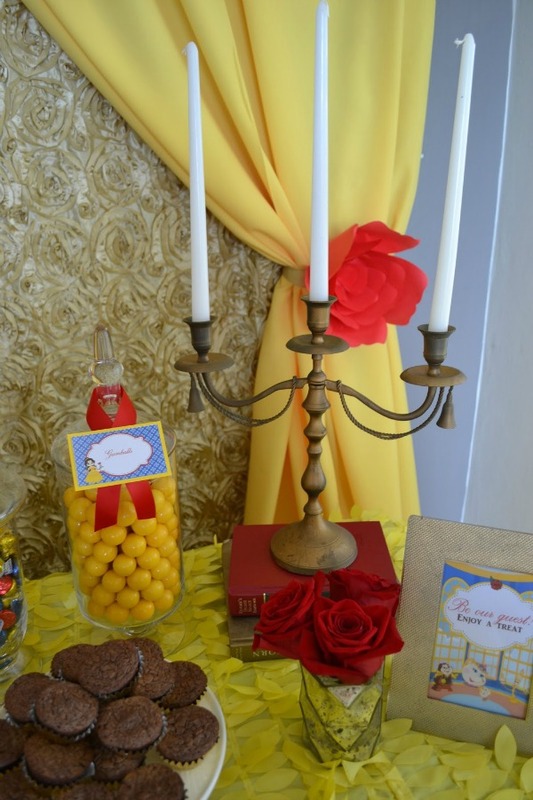 Decorative elements on table included fresh red roses, a vintage candelabra, a magic rose and vintage books. 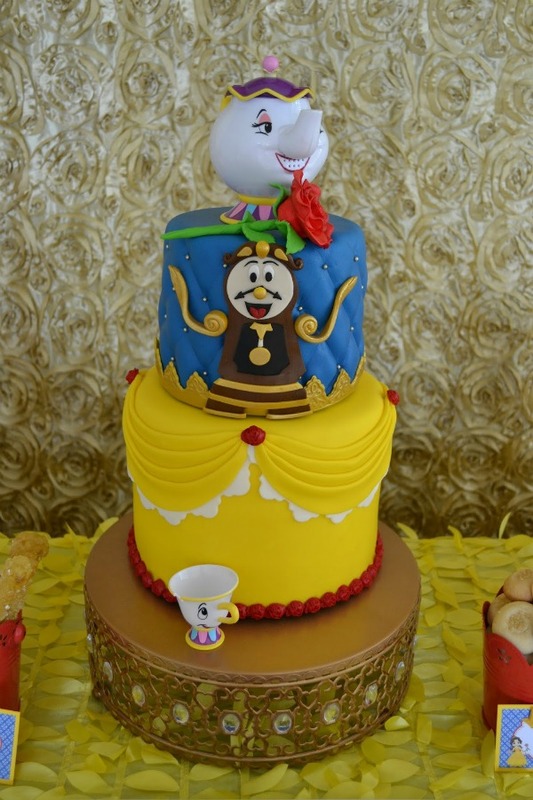 The amazing Beauty and the Beast inspired birthday cake by Jovanna Valentín definitely stole the show! 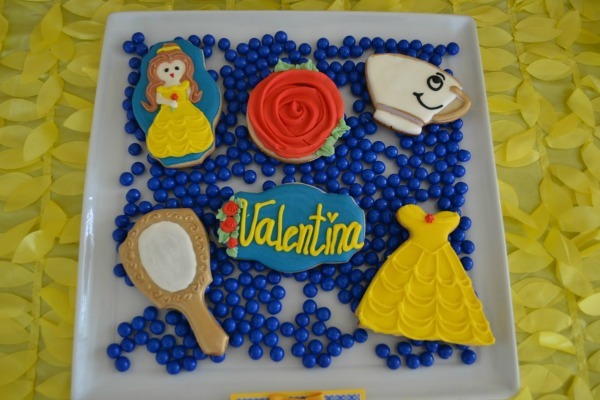 The adorable themed cookies from Cookies by Suehery were also a showstopper! Guests had their choice from an array of delicious desserts, many from Sugar Bliss. Roses were also seen on tables as an enchanting centerpiece! 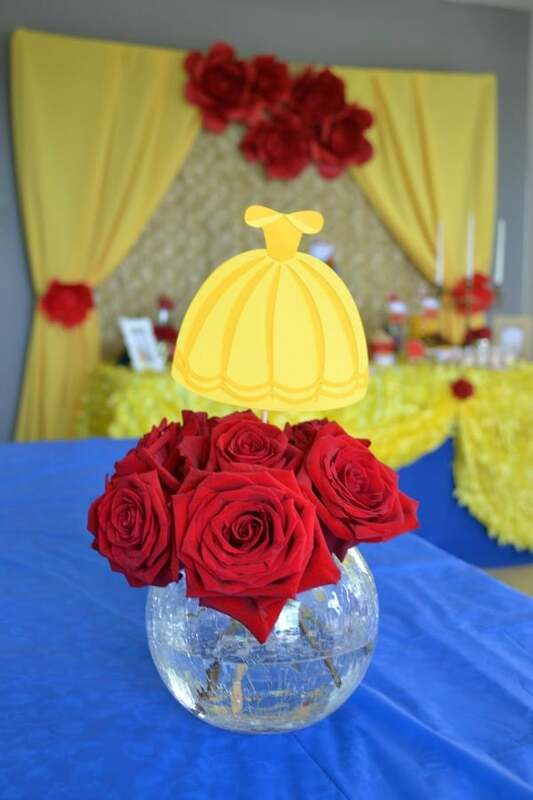 This Enchanted Beauty and the Beast Birthday Party is the perfect theme for any little princess! What a wonderful party with memories that will last a lifetime. Do you have a favorite detail? Let us know in the comments below! 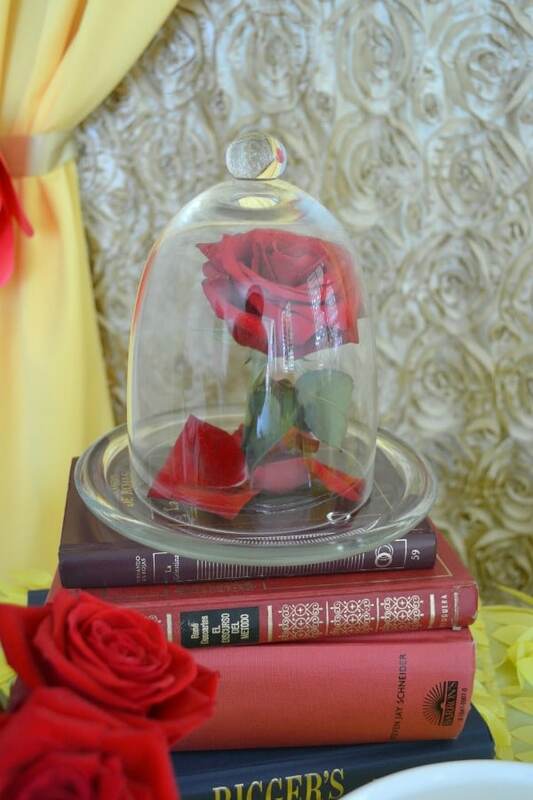 Just curious, where did you find the belle dress toppers for the centerpieces?